The Affordable Care Act will inevitably affect individuals, but what about the Affordable Care Act’s effect on businesses and corporate wellness programs? How should employers be preparing to properly deal with the changes made by the ACA? 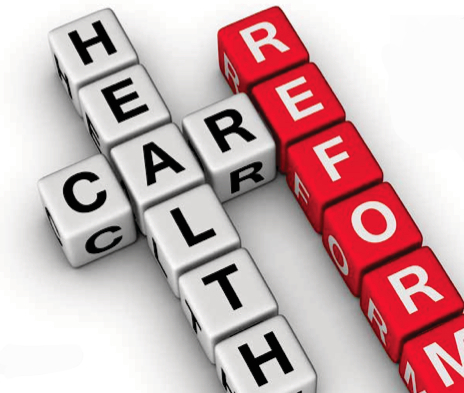 Two major objectives must be addressed when discussing the ACA. – Beginning in 2014, all Americans will be required to have health insurance coverage. Currently, about 16 percent of the population does not have health insurance and that number is continually increasing because of the growing costs of health care. All around, health insurance coverage is becoming unaffordable for individuals and businesses and that is exactly the problem that the ACA has aimed to remedy. – Secondly, the hope is that the ACA will help control the increase in year-over-year health insurance costs for employers. For many businesses, these are their most uncontrollable expense. 1. Consider the specific design of the health insurance plan you’re offering. Many companies are unaware of the vast array of options available when it comes to choosing a health insurance plan for employees. Working with a top-flight benefits broker or consultant can help leaders make the best possible choices for plan designs. Health insurance carriers and TPAs offer several options for cost control, including something called embedded wellness/lifestyle designs. With these plans, participation in specific wellness activities or those with specified health outcomes are rewarded. 2. Consider the value of health incentives. Plans are effective when incentives are offered within them and outside of them. Many times incentives can be linked with the plan even if they aren’t specifically part of the plan’s design. For example, health incentives could be in the form of dollars, which could then be linked to a health reimbursement account. This account could be specifically used towards specified health expenses. 3. Invest in a workplace wellness program. One of the positive effects that the Affordable Care Act could potentially have on corporations is that it could lower health insurance costs. Because insured people will now be taking initiative with their health and offsetting potential future health issues, the overall healthcare costs should start to be reduced. Take the savings and continue with the push towards greater health awareness and responsibility by designing and maintaining a successful workplace wellness program for employees and their spouses. Finding ways to measure this program’s success is a vital step in being able to produce a sustainable wellness investment. For more information on compliance issues, check out our free ebook, Compliance and Your Wellness Program. Click on the icon below for access to this helpful resource.